Santorini is an island in the southern Aegean Sea, about 120 mi southeast from Greece's mainland. It is the largest island of a small, circular archipelago which bears the same name and is the remnant of a volcanic caldera. It forms the southernmost member of the Cyclades group of islands, with an area of approximately 28 sq mi and a 2011 census population of 15,550. 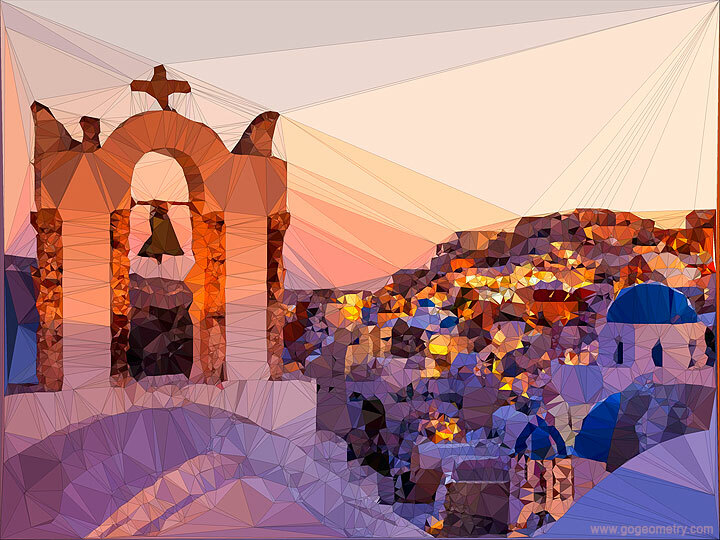 Santorini was named by the Latin Empire in the thirteenth century, and is a reference to Saint Irene, from the name of the old cathedral in the village of Perissa. Santorini's primary industry is tourism, particularly in the summer months. It was ranked world's top island for 2011 in Travel+Leisure Magazine. Santorini was also named "the world's best island" by the BBC in 2011 Source: Wikipedia, Santorini.